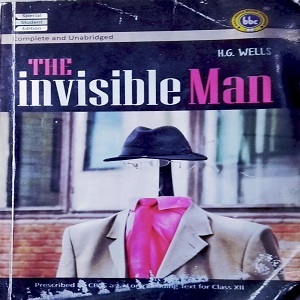 The invisible man by H. G. Wells is the story of a wicked scientist, Griffin, whose passionate craze to find a formula for invisibility messed up his life. His mind obsessed to the point of madness, did not let him stop in his pursuit of this scientific goal.His mania stripped him of all moral and ethical values driving him in the end to robbery, violence and revenge. Eventually when his brilliance, hard work and relentless efforts brought him face to face with success, the fruit borne by him experiments proved to be bitter.